WhatsApp has just released new public beta under the Google Play Store beta program and it brings a major new update. But to understand the upgrade, we will have to first understand the General Data Protection Regulation program which was enforced by European Union. The General Data Protection Regulation or GDPR is a regulation by EU which aims to give control back to citizens and residents over their personal data and to simplify the regulatory environment. The GDPR has been heralded as one of the most important privacy laws introduced by EU in the last couple of decades. Complying with GDPR all major tech companies including Google, Microsoft, and Apple updated their privacy policies, and instructed their respective developer communities to abide by the regulation. The latest beta update of WhatsApp is in line with the new GDPR regulation and now gives users more control over their data. 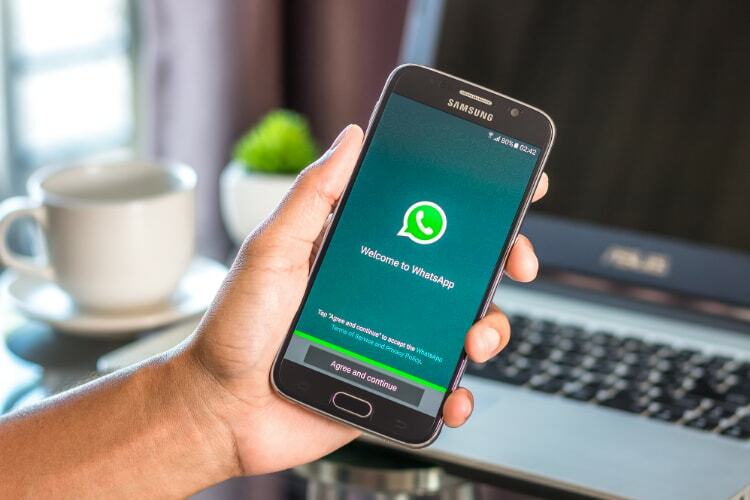 As the tech companies have to introduce new features following the new GDPR guidelines before May 25, 2018, companies like WhatsApp are already testing out the new feature. So the latest beta update of WhatsApp now allows users to download all their data which is saved on WhatsApp’s server. 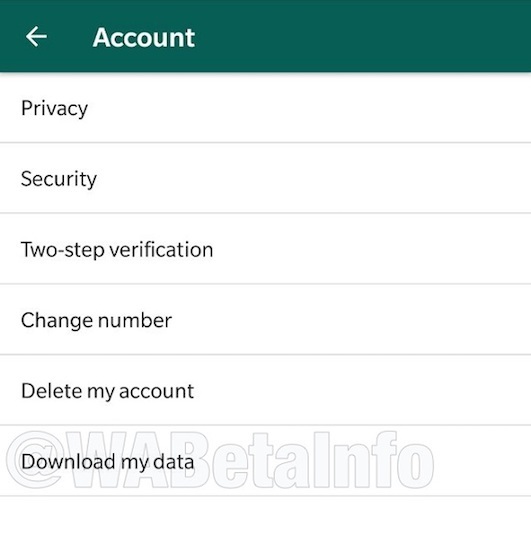 The new feature can be found by going to Settings -> Account Settings in the WhatsApp app. Here, users will see a new “Download my data” option as shown in the picture above. Tapping on the option will open a new page where users can download the full report of their data that is being hosted on WhatsApp servers. 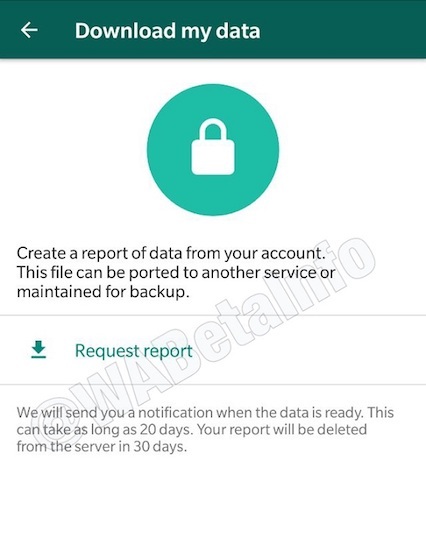 The new page also informs the users that their data can take up to 20 days to generate, and once the users download the report, it will be deleted from WhatsApp servers within the next 30 days. The report can either be used to move seamlessly to another service, or for backing up your messages locally, or for your records. That said, the main purpose of this feature is to allow users to take control of their data by deleting it from the WhatsApp’s servers. This is great news for those who are particularly concerned about data privacy in apps like WhatsApp. One thing to remember here is that the feature is currently under development and hence being rolled out in stages. So even if you are on the WhatsApp beta program, you might not see the feature for the coming few days or weeks. Rest assured, the feature will be made available to all the beta testers and consecutively to stable builds before the May 25 deadline.